This legendary golf day is in its 3rd year. 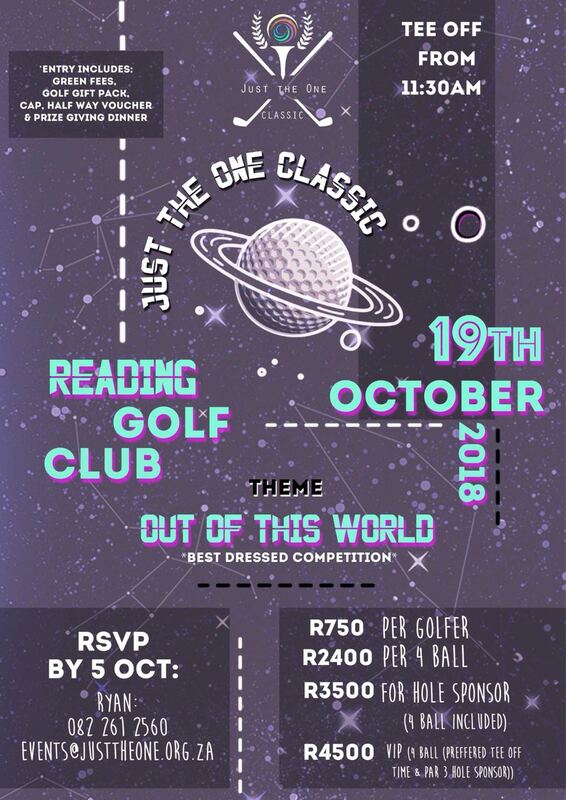 The Classic is held annually in support of Just the One Foundation, a Non-Profit Organization focused on providing educational opportunities for students from Alexandra, Johannesburg. Full of vibrancy and a fiercely contested best-dressed completion… This is one of the most colourful golfing events of Jozi’s calendar. Green fees, golf gift pack, cap,half way voucher and prize giving dinner. We have some fantastic prizes up for grabs!